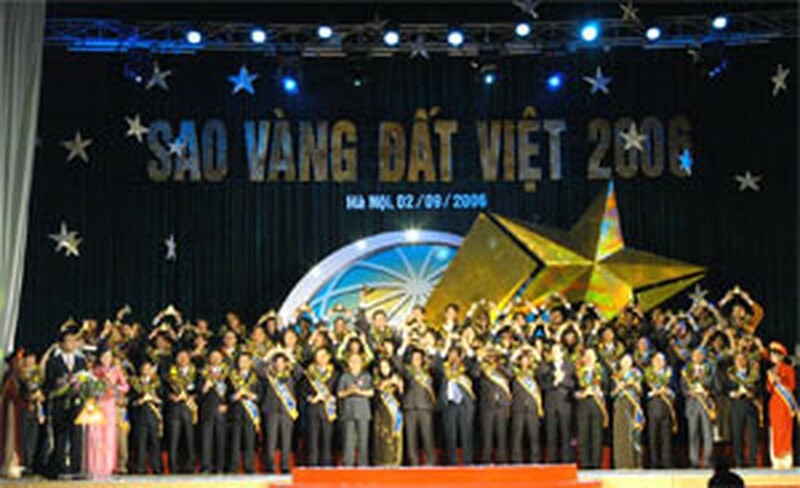 As many as 150 trademarks and products of Vietnamese young entrepreneurs were awarded the Viet Nam Golden Star Award 2006 at Ba Dinh Hall in Ha Noi today. This year, about 1,254 trademarks and products of enterprises from 52 provinces and cities were nominated for the award. But only 150 trademarks and products of 25 various categories from 149 enterprises won as they met the 40 selection criteria, among which was their competitiveness in the intentional economic integration. The total turnover of the 149 winning enterprises is over VND72 trillion and they are giving jobs to about 138,000 employees. Localities that have most winning enterprises are Ho Chi Minh City (38 enterprises), Ha Noi (35), Da Nang City (7) and Dong Nai Province (7). Outstanding winning enterprises and trademarks from southern Viet Nam are Cadivi, Tan Mai paper, Tuong An oil, Saigonbank, Thien Nam elevator and Vinacafe Bien Hoa. 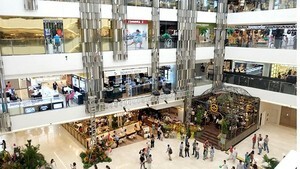 Their trademarks and products are not only famous in Viet Nam but also in many other countries.